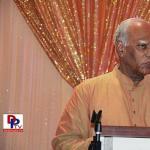 ”India’s Identity in Hindu. This is similar to USA’s identity as ‘Anglo-Saxon Caucasian Protestant Christian’. It may have citizens from various races and religions. 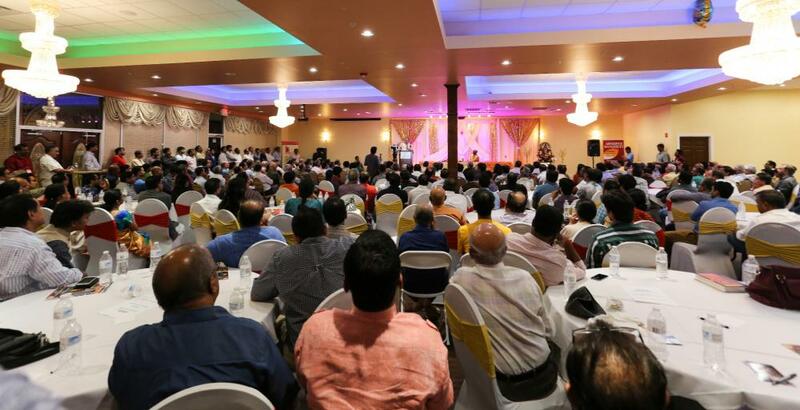 Similarly, India maybe home for people practicing various religions, the identity however is Hindu” said Dr. Subramanian Swamy addressing an audience of about 600 people in a packed hall in Plano (Dallas area), Texas, USA. 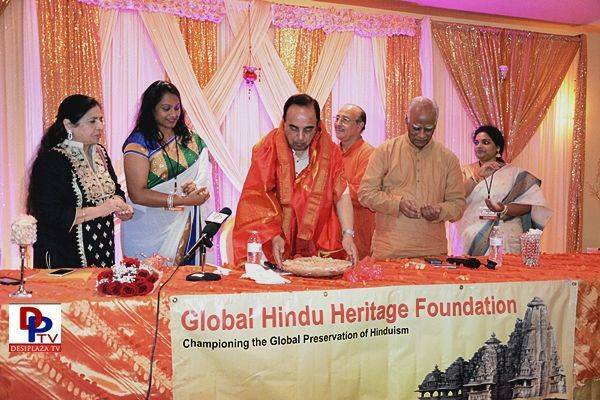 Member of Parliament (Rajya Sabha, Republic of India) and a Senior BJP leader, Dr Swamy visited Dallas on an invitation from Global Hindu Heritage Foundation (GHHF) to speak on “The Government control of Temples in India” on Tuesday, 13th September 2016. 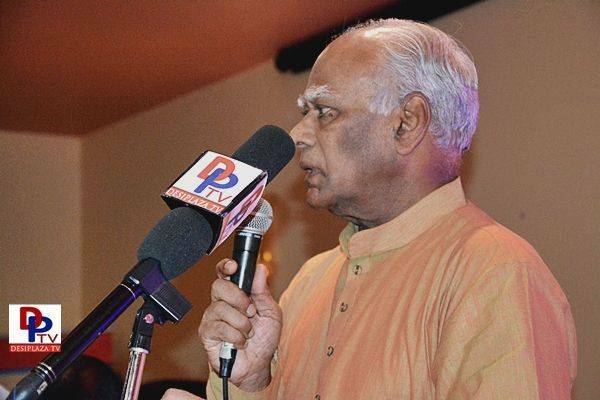 His brilliant speech covered various topics that are dear to all Hindus such as the history and significance of Hindu Temples; need for the preservation of Hindu values; difference between Hindu Temples and Christian churches and Mosques; illegal occupation and construction of Babri Masjid; legal battle to construct Rama Temple in Ayodhya, the birth place of Lord Rama; efforts to repeal of the Endowment act in the Supreme Court; and the potential problems Hindus may face after Hindu Temples are freed from the government control. Welcoming the gathering, Gopal Ponangi, active volunteer and who served as Master of Ceremony for the evening, thanked everyone for coming to listen to Dr Swamy on a Tuesday evening, in spite of being a working day. 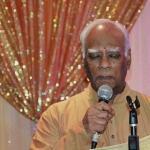 Hari Ramasubbu initiated the event with invocation prayers. 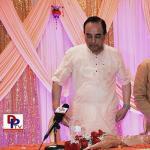 This was followed by Lighting the lamps at the altar by Dr Swamy and attendees from various organization in and around Dallas. 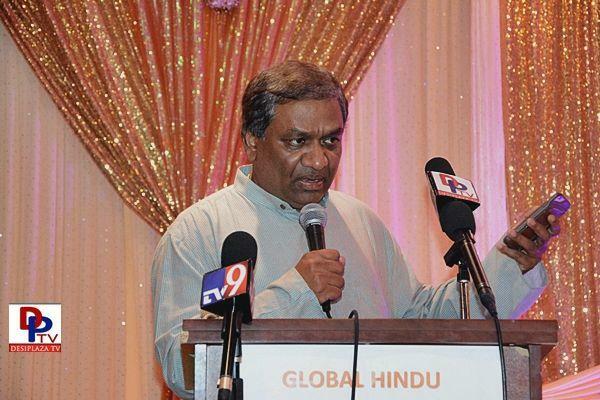 Gopal then introduced Dr Prakasarao Velagapudi, the Founder and President of Global Hindu Heritage Foundation which organized the event in collaboration with various Hindu faith based organizations in and around Dallas area. 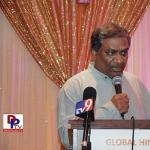 Dr Velagapudi spoke about the origin of GHHF and some of the it’s activities over the last ten years. He then introduced Dr Swamy as a lone ranger, and one-man army making the difference in uplifting the moral compass in the India and fighting to uproot the corruption and cronies. 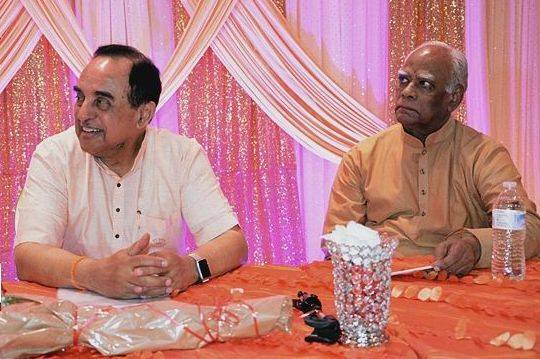 Dr Swamy addressed the gathering by vividly describing the process that makes the Hindu Temples sacred by doing Pranaprathishta puja to convert Murthy into a God. Once they are sanctified, they cannot be removed since life is infused in the Murthy. Even the British Courts have agreed to this process. He said Churches and Mosques are only places of congregation; they can be removed and shifted with no recourse. Saudi Arabia has demolished hundreds of Mosques to widen the roads and construction of Apartments. He rightly pointed out that Muslims must accept their Hindu ancestry to live in peace and harmony since all the people in India, irrespective of their religion, caste, creed, and state, have the same DNA. All Muslim should agree to build Temples in Mathura, Ayodhya and Varanasi, otherwise we should make a case to repossess 2000 Hindu Temples that were converted into Mosques. Since investigation has revealed the existence of Rama Temple before the construction of Babri Masjid based on scientific evidence, efforts must be made to build Rama Temple as soon as possible. He wants to see the Construction of Rama Temple completed by the end of 2017 since it is also the agenda of BJP. Further he recounted the tireless efforts of Sri Swami Dayananda Saraswathi to gather the information on the abuses of governments and how he filed a case in Supreme Court. 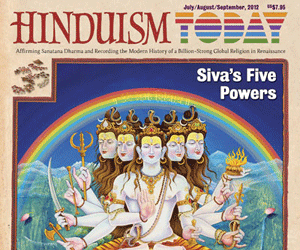 Dr. Swamy indicated that he agreed to take up the Repeal of Hindu Endowment Act in Supreme Court. His extraordinary speech was interrupted by thunderous applause numerous times. 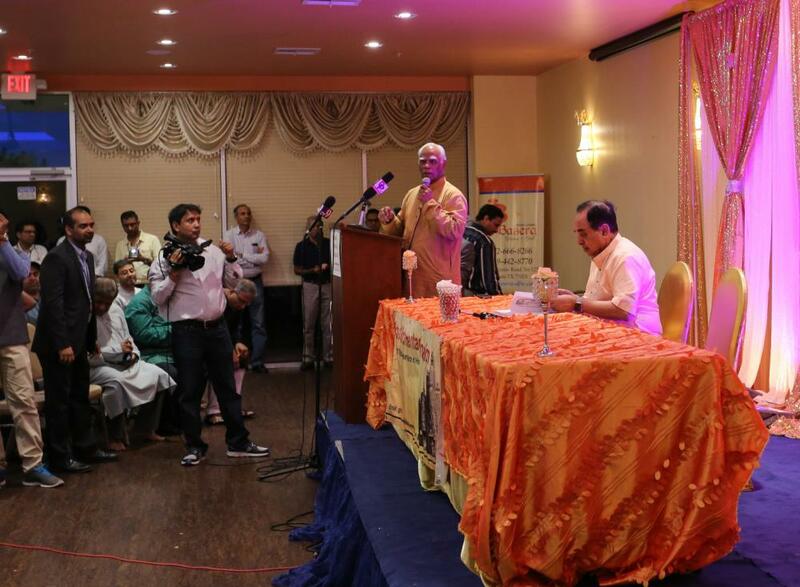 Addressing the gathering, Sashi Kejriwal, one of the community leaders said that “it is upon us to support Dr Swamy for his tireless efforts to fight corruption in India and also to help support furthering Hindu Causes“. 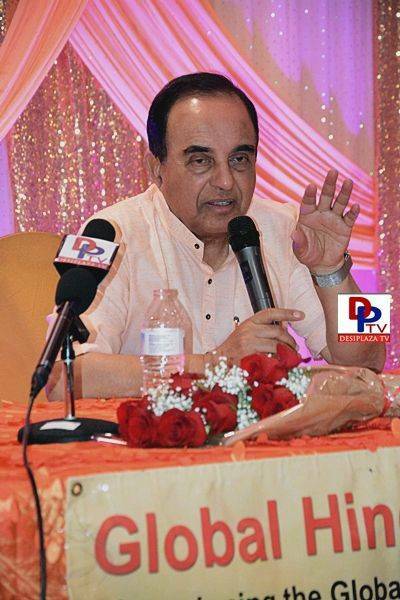 “It was an excellent speech by Dr Swamy. 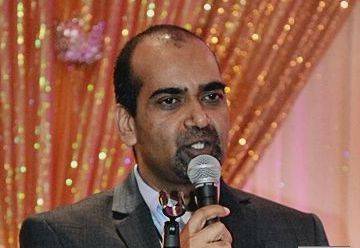 He has captivated the entire audience” Said Mahesh Choppa, an active volunteer at GHHF who managed food related areas for the event. 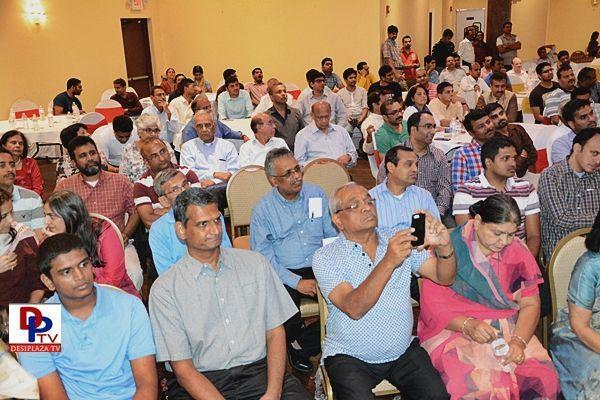 “Dr Swamy’s speech was very good informative and an eye opener and I thank GHHF for arranging Dr Swamy’s talk” said MsSashi Pattisam a resident of Dallas area. 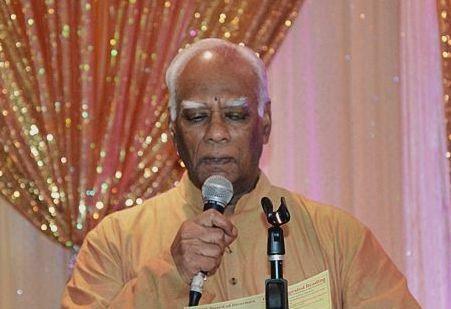 “For me, the take home was the message about India’s identity being Hindu just like USA’s identity is ‘Anglo-Saxon Caucasian Protestant Christian’ ” said Ramesh Kandadai another local resident. 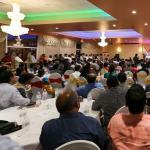 The event was made possible by tireless volunteers that includes Alpesh Patel, Anand Chellappa, Anil Muthoju, Anu Appaji, Dr Arun Chandrakantan, Divya Selva, GaganShori, Hari Ramasubbu, IV Rao, KalyaniTadimeti, Kameswara Rao Nemani, Laxmi Tummala, MadhumathiVysyaraju, Mahesh Choppa, ManjariGangwar, Prashant Patel, RK Panditi, Raj Kumar Dandu, Rajah Vysyaraju, Venkat Coimbatore, Ram Majji, Rao Kalvala, Ravi Pattisam, Sanjay Tiwari, Satish Kandi, Shri Gaur, Siva Agnoor, Srinivas Guldavalleti, Kannan Srinivasan, Srinivas Kodavatiganti, Sridhar Kodela, VenkatKarumudi, Vijay Todupnoori, Vijay Bhogaraju, Vishnu Chimmula, Srinivas Pamidimukkala, Konda Srikant, KalyaniTadimeti to name a few. The event had representation from Sanatana Dharma Foundation, Karya Siddhi Hanuman Temple, DFW Hindu Temple, EkalVidyalaya, Art of Living, Radha Krishna Temple (Allen), Ram Mandir, Isha Foundation, Diwali Mela team, VHS, DATA, TPAD, MGMNT and OFBJP to name a few. 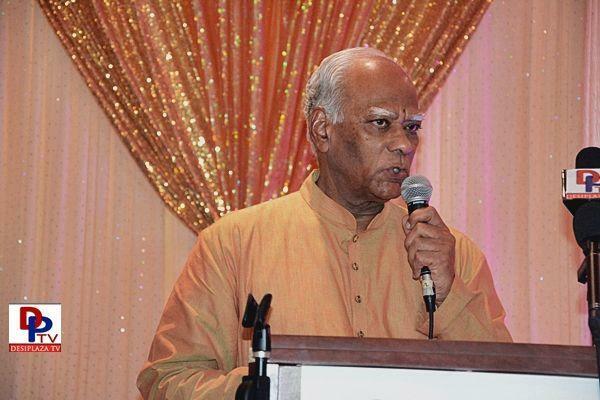 Special support to the event was provided by KC Chekuri through Yuva Radio in letting the community know about the event. Hari Dornala from Basera Restaurant and Pratyusha from Minerva Banquet Hall have provided support from hospitality standpoint. Sridhar Kodela has provided Audio support. 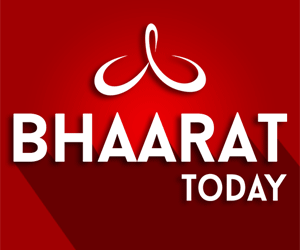 Krishna Puttaparthi from DesiPlaza has supported through Videography and Photography. 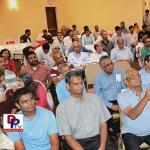 Pardha from Lordly Digital helped with publicity and Venkat Mulukutla from TV9 provided Media support to the event. 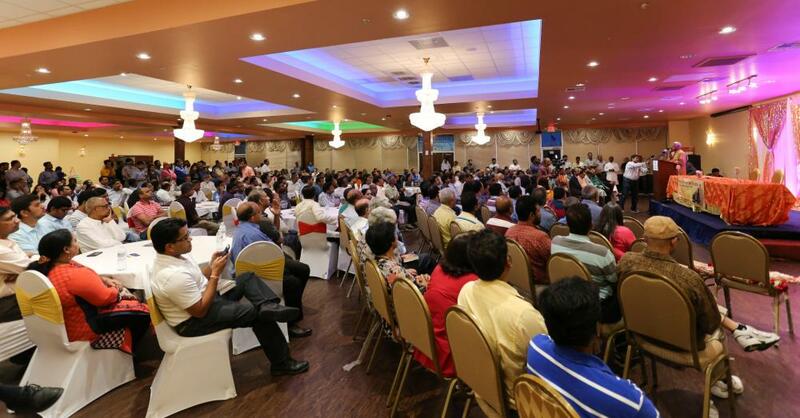 The event was attended by who is who of Hindu Community in Dallas. Dr Kishore Fruitwala, President of DFW Hindu Temple, Sri Krishnamurthy, Founding member of DFW Hindu Temple, R K Vellanki, President of KSHT, Dr Jai Kumar, Dr Anup Shetty, Sante Chary, Shreya Bhat, SudhakarVeeravelli (Telugu Talli), Dr Renuka Basavaraju, NeerajaSheth and several others. Mr. Gopal Ponangi thanked Dr. Swamy for his enlightening speech and also nearly 600 people who came to listen the speech, even though it was a working day. 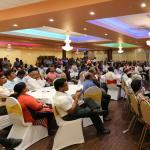 He also thanked KC Chekury from Yuva Radio for helping spread the word about the event. 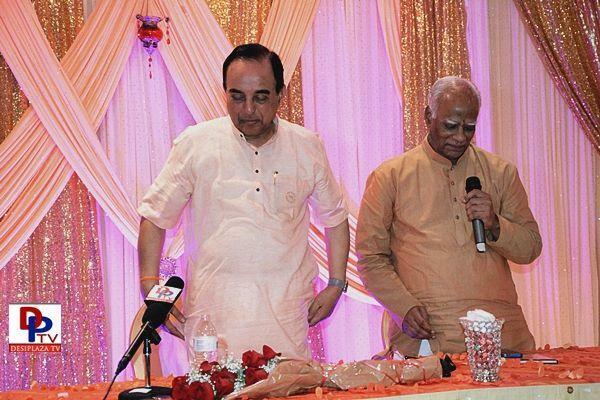 The event was concluded with cutting a cake by Dr. Swamy whose birth day is on September 15th. Shri Gaur from Seva International has felicitated Dr Swamy with a shawl.